Tens of millions of pounds are being wasted by the NHS on useless treatments for back pain, money that should be diverted to alternative therapies such as acupuncture and spinal manipulation, a health service watchdog says today. From among 200 treatments and devices claimed to help a bad back, the National Institute for Clinical Excellence (Nice) has passed judgement on what works and what doesn’t. X-rays, ultrasound and steroid injections are out and osteopathy, chiropractic and “needling” are in, it says. The new guidelines mark a watershed in the treatment of the condition and for Nice itself. It is the first time that the institute has issued a positive recommendation that the NHS provide, and pay for, alternative therapies. The advice, which NHS trusts will be expected to implement over the coming months, is likely to cause controversy among orthodox clinicians who believe NHS money should be reserved for scientifically proven therapies. But Nice says a careful review of the evidence shows that acupuncture and spinal manipulation work. Back pain is among the most common reasons for visits to family doctors (after colds and flu). It affects one in three adults in the UK each year, with an estimated 2.5 million people seeking help from their GP. The NHS spends £1.5bn on treating the condition, and much of that is wasted on worthless treatments, according to Nice. The standard advice for people who suffer problems with their back has not changed. It is to continue with their normal activities as far as possible and to avoid bed rest. Most people recover quickly with nothing more elaborate than a couple of paracetamol every four hours to help them keep mobile. The old advice to rest a bad back in bed has been shown to make the condition worse. The new guideline applies to people with “persistent” low back pain which has lasted for at least six weeks. They should be offered three options: an exercise programme, a course of manual therapy including manipulation or a course of acupuncture. If one treatment option does not work, patients may be offered a second. The 13-strong Nice panel that drew up the guideline expects acupuncture to be the most popular option, with an estimated annual cost of over £24m in England and Wales. Manual therapy is expected to cost almost £16m and exercise therapy almost £900,000. The worst affected patients may be offered up to 100 hours of physical and psychological treatment over eight weeks at a cost of £4,000 a head. But even this expense can be justified when set against long-term costs of existing ineffective treatments, disability benefits and lost production, Nice says. To pay for the new treatments, the panel estimates that ending the use of steroid and other injections into the back will save more than £33m, stopping MRI scans will save £12m, and a further £1m can be diverted from funds for X-rays. Evidence shows that ordering X-rays can make patients worse, by confirming their invalid status. The overall net cost to the NHS of implementing the guidelines is estimated at just £77,000. Although alternative therapies had been included in previous guidelines for multiple sclerosis, ante-natal care and dementia, the evidence of their worth had been equivocal, he said. “In this case, the evidence was robust enough to make a positive recommendation,” he said. Martin Underwood, a GP in Coventry and a professor of primary care at the University of Warwick, chaired the expert panel. He said the panel had carefully examined the evidence for the alternative therapies. His claim was challenged by Edzard Ernst, a professor of complementary medicine at the University of Exeter and a leading sceptic about the claimed benefits of alternative medicine. Professor Ernst said he was most concerned about the use of chiropractic, which is recommended by Nice along with osteopathy, and which involves more extreme manipulation of the spine. Many patients suffered mild side-effects lasting a day or two and there were rare cases of more serious accidents, causing damage to the arteries in the neck, triggering a stroke. Dries Hettinga, the head of research at Backcare, a patient support organisation, was a member of the panel and said that there was widespread confusion about treatments for back pain among the public. Stuart Derbyshire, a senior lecturer at the University of Birmingham’s School of Psychology, said: “I would be less inclined to offer manipulations and acupuncture even though clinical trials have been successful. A lifetime of work lifting heavy weights has taken its toll on Tom Barr’s back. Last year, the pain was so bad he was crippled – until he got help from an acupuncturist. “I had to slide downstairs on my bottom and do the washing up sitting down. I walked bent over and couldn’t go more than 100 yards without a rest,” he said. His son, who lives in the US, was shocked when his father arrived in a wheelchair for a visit and organised a couple of acupuncture sessions. The result was encouraging. “I felt quite a bit better,” Mr Barr, 79, said. He returned home to Ashford, Middlesex and organised sessions with a practitioner registered with the British Acupuncture Council. He had one treatment every fortnight at first, then once every five weeks. “It has made a difference to my life that is unbelievable. I can ride a bike again and everyone is amazed I can stand up straight. I have just finished painting the front windows and the gate. Last year I couldn’t do a thing,” Mr Barr said. 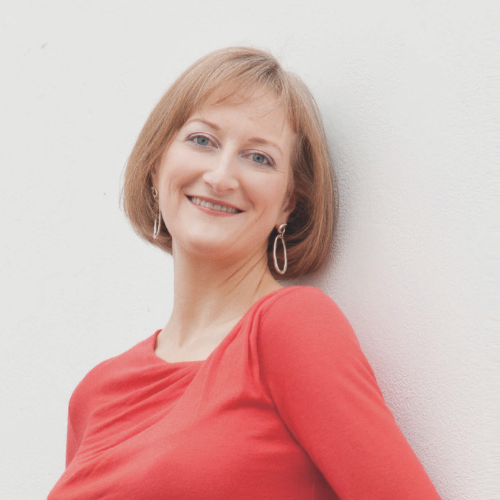 The British Acupuncture Council said its members were trained to degree standard and adhered to codes of ethics and conduct. Exercise – Up to 8 sessions in a supervised group over 12 weeks. A one-to-one programme would be offered if a group approach is not suitable. May include aerobics, muscle strengthening, postural control. Injections into the back – Steroids and other substances are widely administered using this method. Manual therapy – A course involving up to nine sessions over 12 weeks. Includes osteopathy or chiropractic. X-rays and MRI scans – They are often ordered but are of little use, and may make the patient worse. MRI scans should only be used where the patient is being referred for surgery. 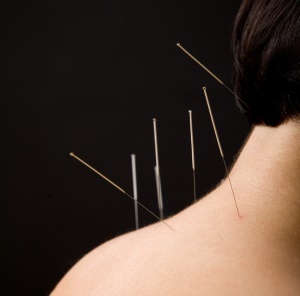 Acupuncture – A course of 10 sessions lasting up to 12 weeks. Heat treatments – Aimed directly at the discs in the spine, using a variety of methods. Combined physical and psychological treatment – A programme lasting up to 100 hours over a maximum of 8 weeks (for those who are worst affected). Early surgical intervention – There is little evidence that any operation, except spinal fusion, reduces pain.